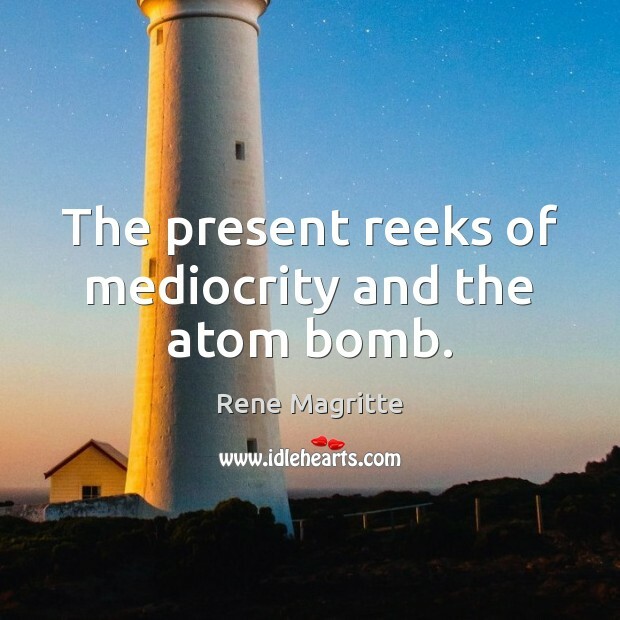 Quotations about Atom. Quotes to stimulate mind and drive action! Use the words and quote images to feed your brain inspiring things daily! 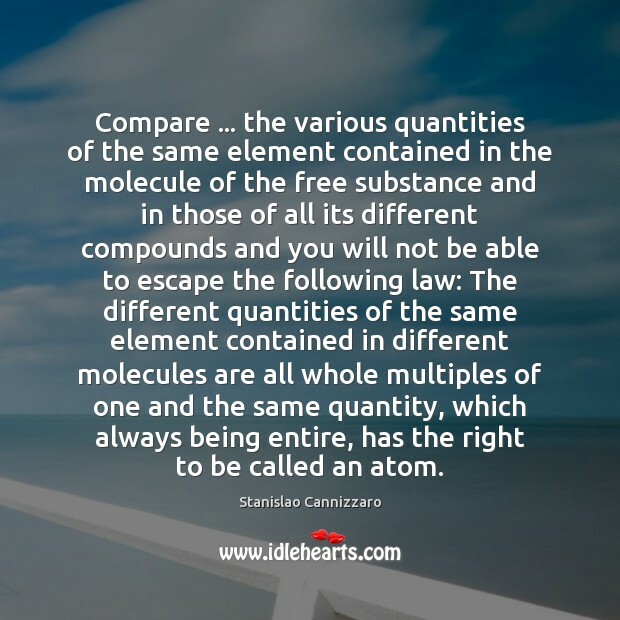 Compare ... the various quantities of the same element contained in the molecule of the free substance and in those of all its different compounds and you will not be able to escape the following law: The different quantities of the same element contained in different molecules are all whole multiples of one and the same quantity, which always being entire, has the right to be called an atom. 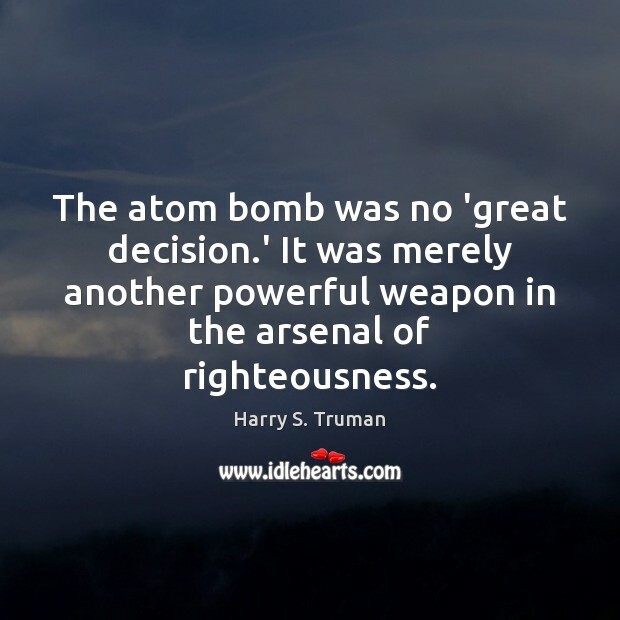 The atom bomb was no 'great decision.' It was merely another powerful weapon in the arsenal of righteousness. 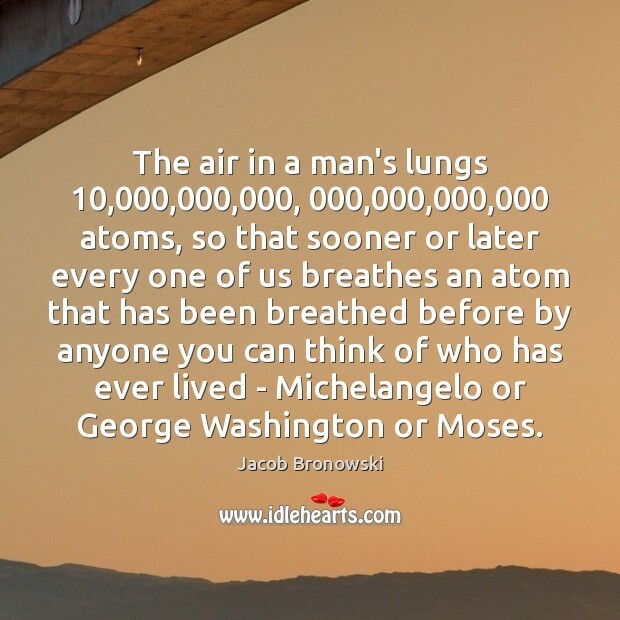 The air in a man's lungs 10,000,000,000, 000,000,000,000 atoms, so that sooner or later every one of us breathes an atom that has been breathed before by anyone you can think of who has ever lived - Michelangelo or George Washington or Moses. No good act performed in the world ever dies. Science tells us that no atom of matter can ever be destroyed, that no force once started ever ends; it merely passes through a multiplicity of ever-changing phases. 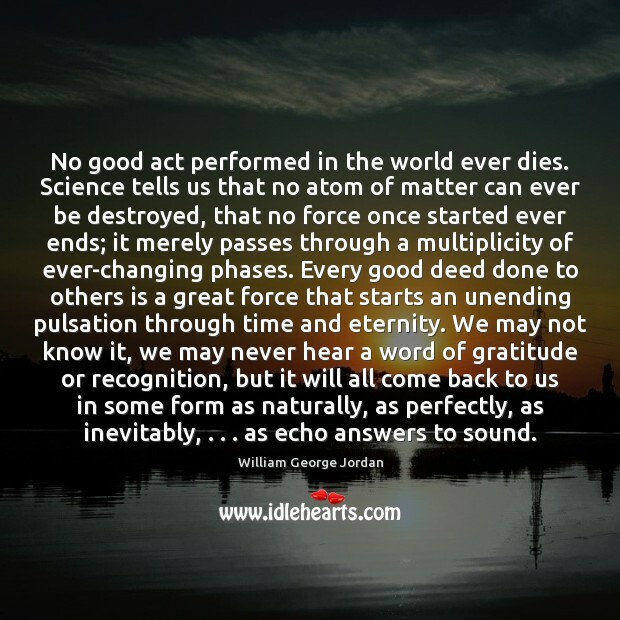 Every good deed done to others is a great force that starts an unending pulsation through time and eternity. We may not know it, we may never hear a word of gratitude or recognition, but it will all come back to us in some form as naturally, as perfectly, as inevitably, . . . as echo answers to sound. 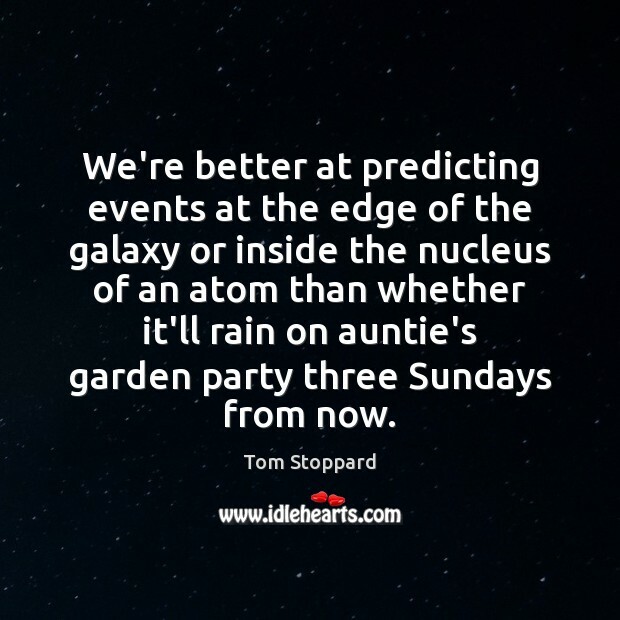 We're better at predicting events at the edge of the galaxy or inside the nucleus of an atom than whether it'll rain on auntie's garden party three Sundays from now. Science has taught us, against all intuition, that apparently solid things like crystals and rocks are really almost entirely composed of empty space. 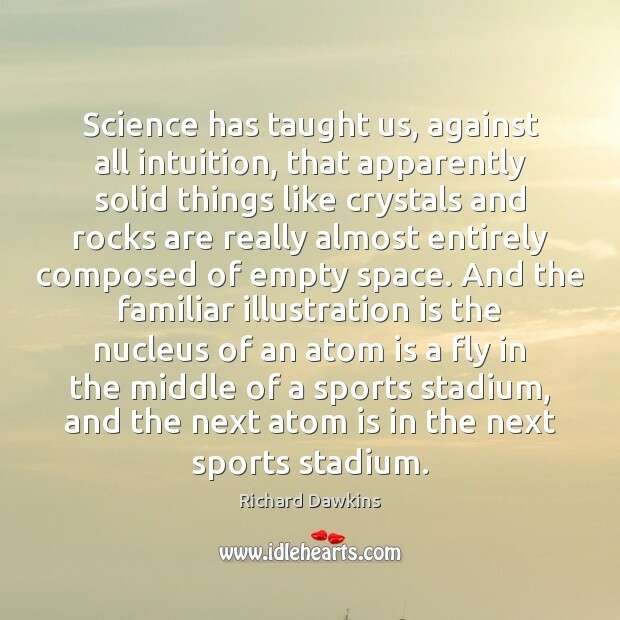 And the familiar illustration is the nucleus of an atom is a fly in the middle of a sports stadium, and the next atom is in the next sports stadium. 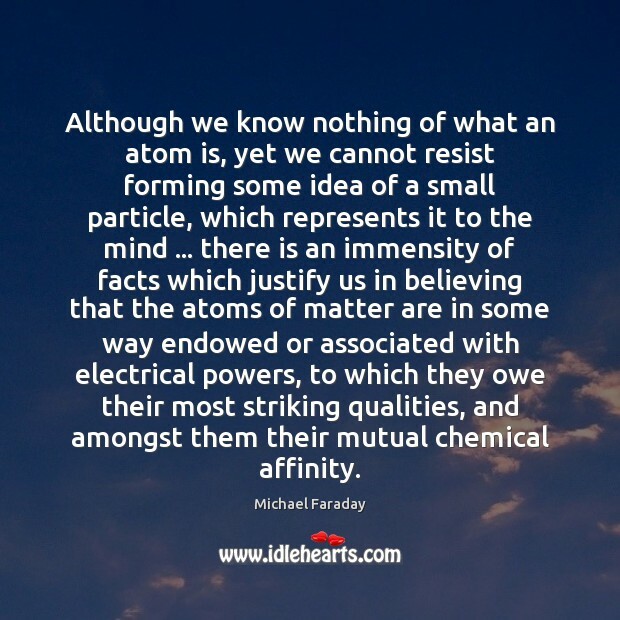 Although we know nothing of what an atom is, yet we cannot resist forming some idea of a small particle, which represents it to the mind ... there is an immensity of facts which justify us in believing that the atoms of matter are in some way endowed or associated with electrical powers, to which they owe their most striking qualities, and amongst them their mutual chemical affinity. 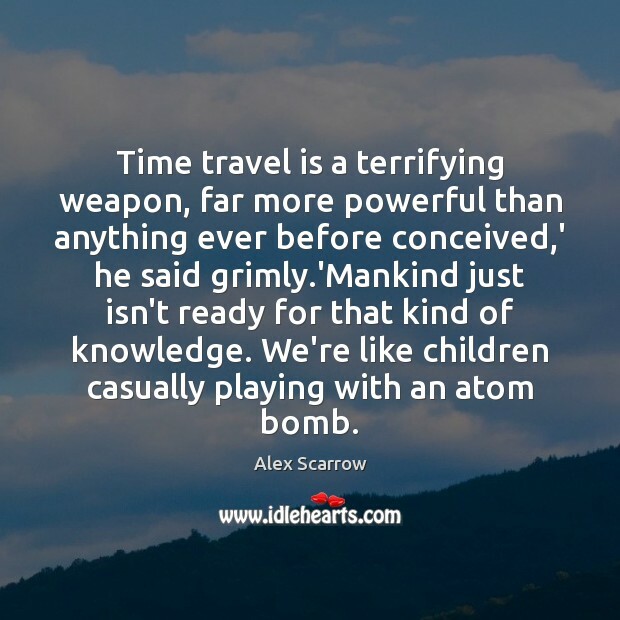 Time travel is a terrifying weapon, far more powerful than anything ever before conceived,' he said grimly. 'Mankind just isn't ready for that kind of knowledge. We're like children casually playing with an atom bomb. 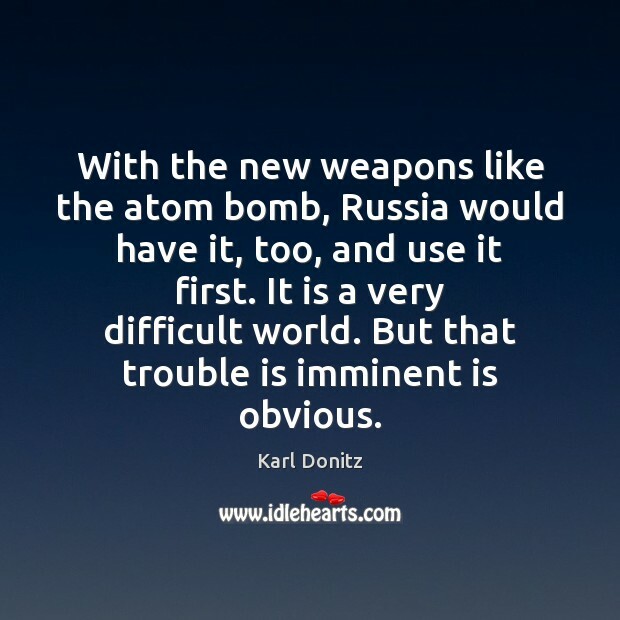 With the new weapons like the atom bomb, Russia would have it, too, and use it first. It is a very difficult world. But that trouble is imminent is obvious. 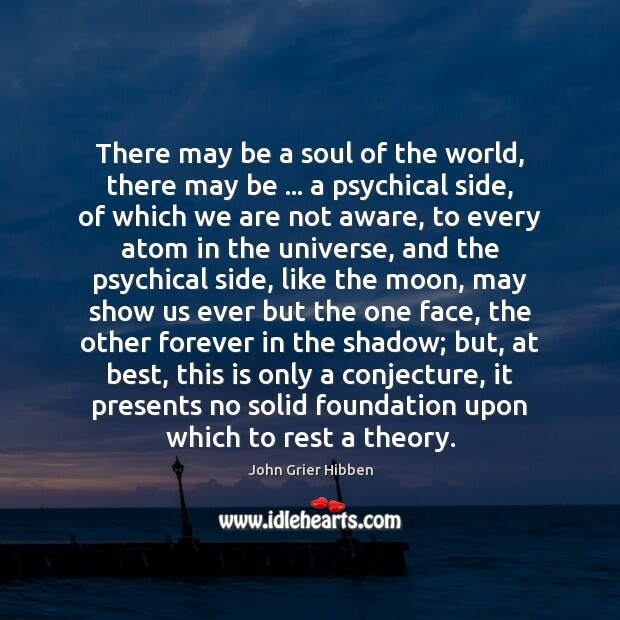 There may be a soul of the world, there may be ... a psychical side, of which we are not aware, to every atom in the universe, and the psychical side, like the moon, may show us ever but the one face, the other forever in the shadow; but, at best, this is only a conjecture, it presents no solid foundation upon which to rest a theory. 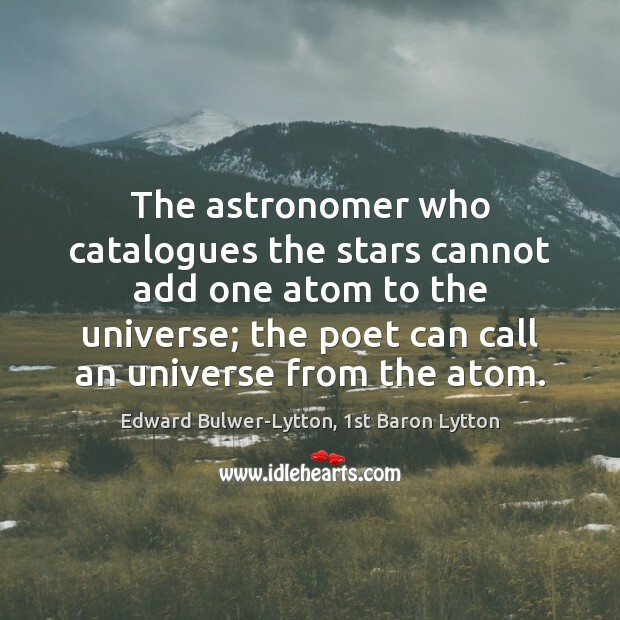 The astronomer who catalogues the stars cannot add one atom to the universe; the poet can call an universe from the atom. 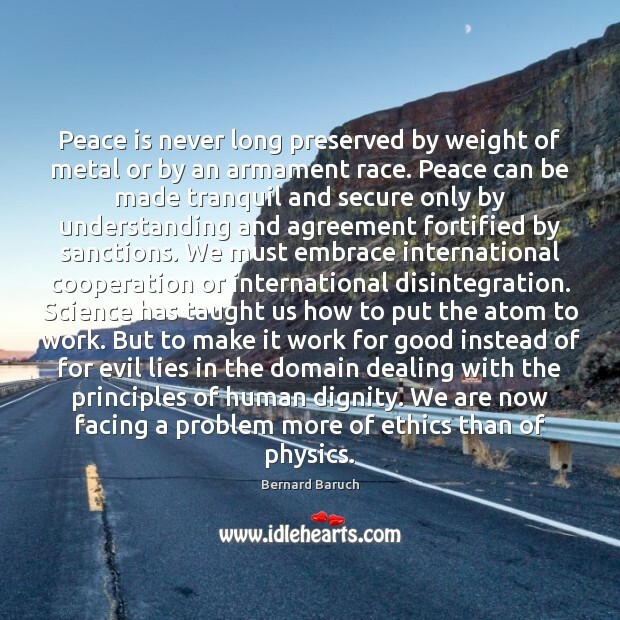 Peace is never long preserved by weight of metal or by an armament race. Peace can be made tranquil and secure only by understanding and agreement fortified by sanctions. We must embrace international cooperation or international disintegration. 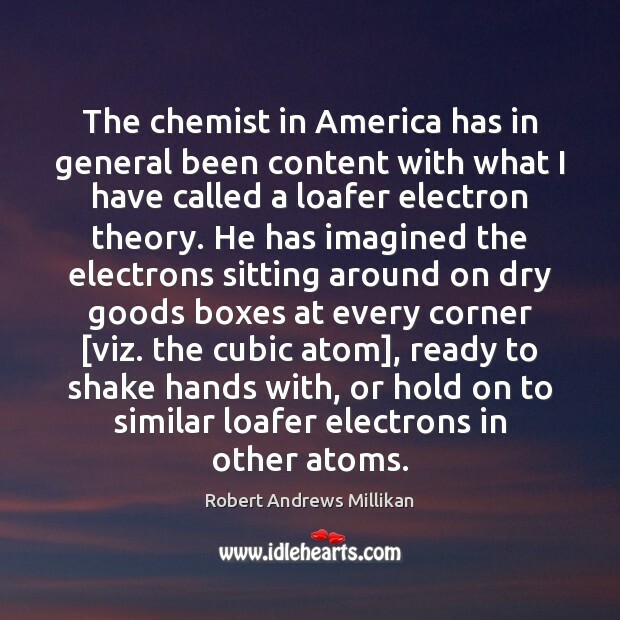 Science has taught us how to put the atom to work. But to make it work for good instead of for evil lies in the domain dealing with the principles of human dignity. We are now facing a problem more of ethics than of physics. 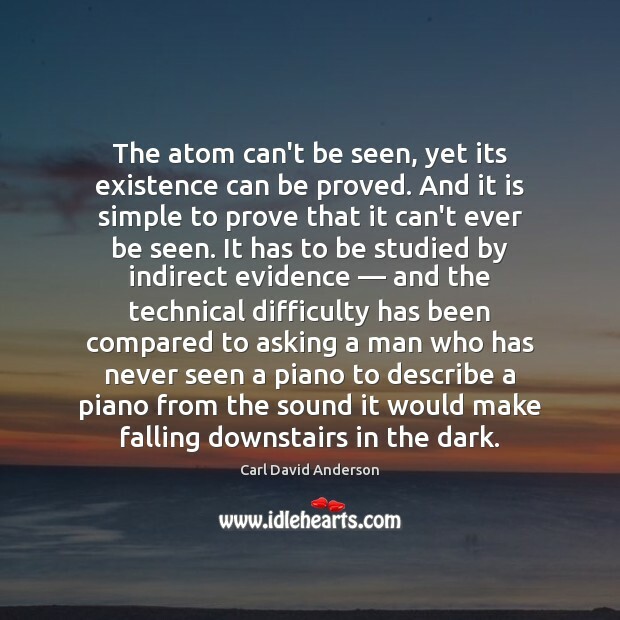 Nobody knows how the stand of our knowledge about the atom would be without him. 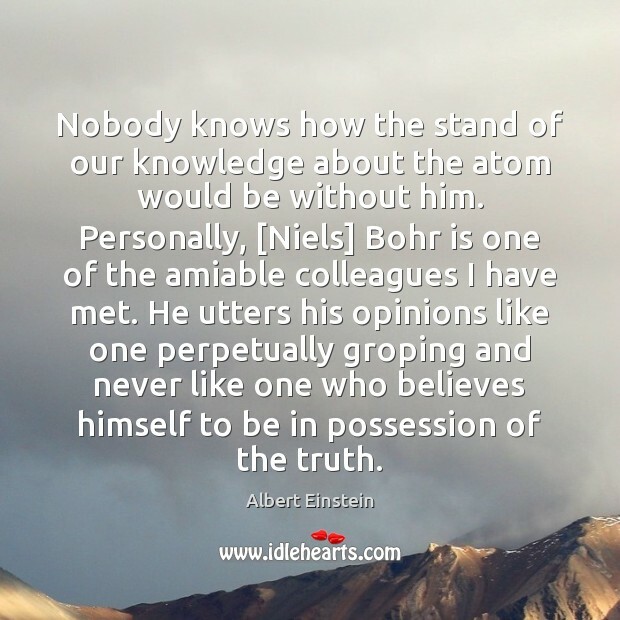 Personally, [Niels] Bohr is one of the amiable colleagues I have met. He utters his opinions like one perpetually groping and never like one who believes himself to be in possession of the truth. 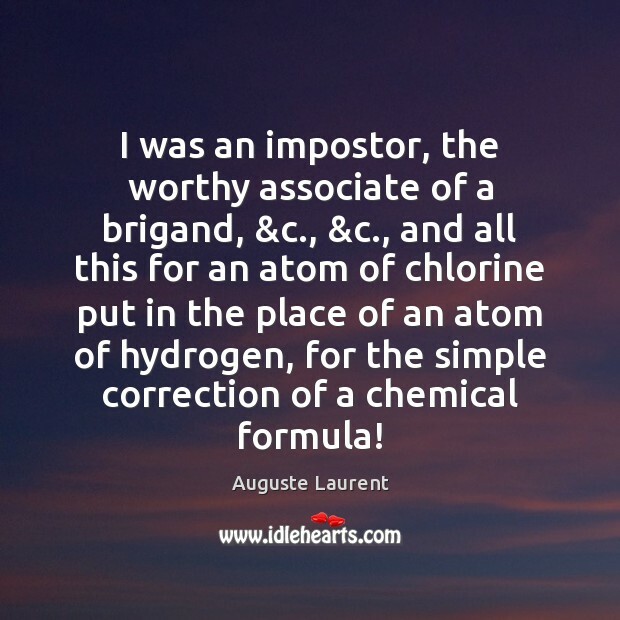 I was an impostor, the worthy associate of a brigand, &c., &c., and all this for an atom of chlorine put in the place of an atom of hydrogen, for the simple correction of a chemical formula!